Julian Plenti Biography, Discography, Music News on 100 XR - The Net's #1 Rock Station!!! 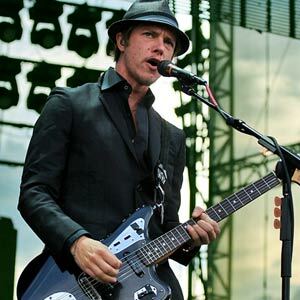 From 1998 to 2003, Interpol singer + guitarist, Paul Banks performed under the moniker Julian Plenti in and around Manhattan, New York USA, as an acoustic solo artist. Venues that played host include Tobacco Road, Pete's Candy Store, The Knitting Factory, The Living Room and “Lach's Antihoot” at Sidewalk Cafe. In 2006 Plenti began to demo a selection of his music using Logic Pro. That selection took shape as "Skyscraper". In the fall of 2008 Plenti took the demoed album to the Seaside Lounge in Brooklyn to be re-recorded with live instrumentation. He hired session performers to play the string and horn arrangements and also enlisted some friends, Sam Fogarino of Interpol on drums and Mike Stroud of Ratatat on guitar, amongst others. 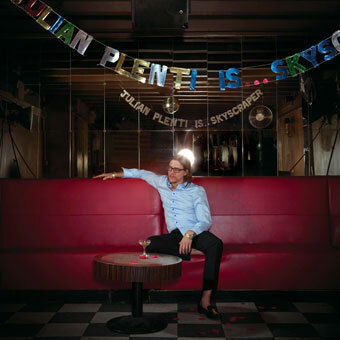 Preceded by the alt-Rock radio single "Games For Days", the artist's first solo album, "Julian Plenti Is... Skyscraper", arrived in August 2009.